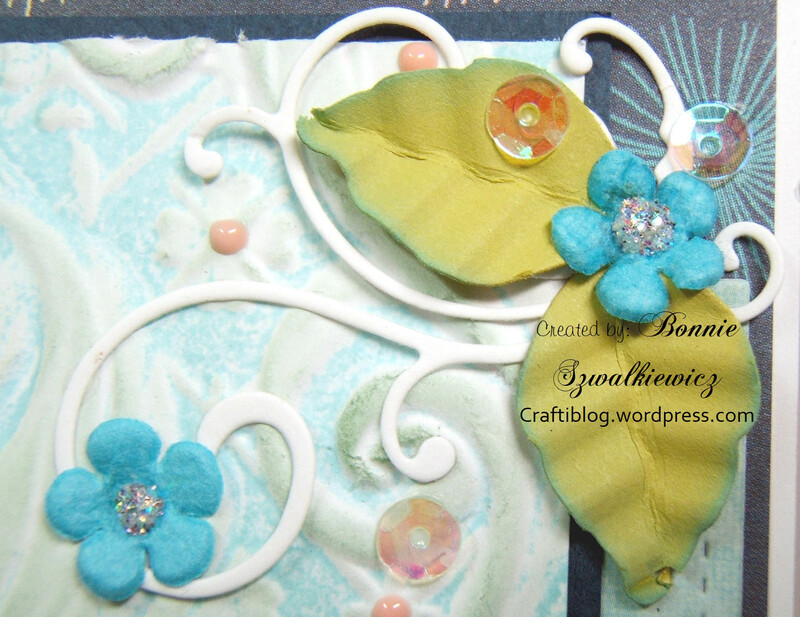 I’ve been seeing quite a few 3-d embossing folders in the stores. I had one in my hands but decided not to get it because I thought I had one from a few years ago. So home I went and went digging through my embossing folders and found the one I remembered. 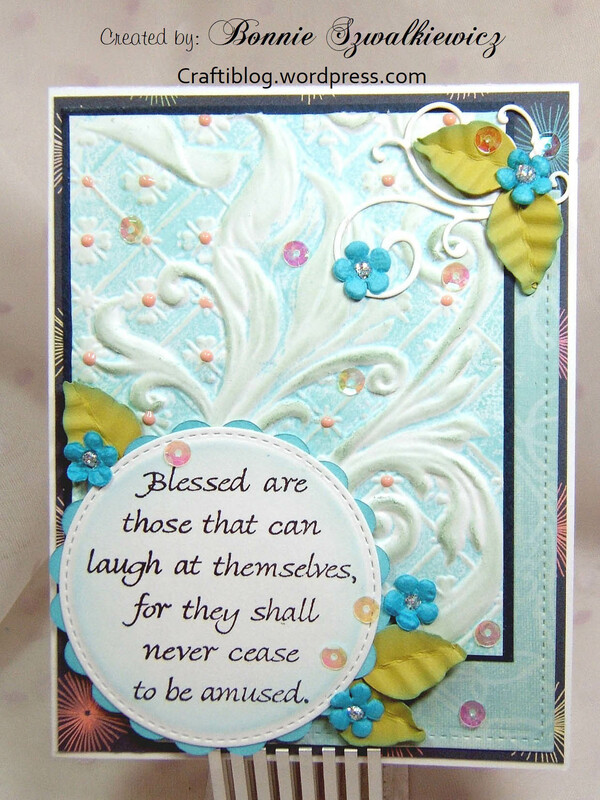 It is by Spellbinders called 3D M-Bossabilities, Ornamental Swirls. 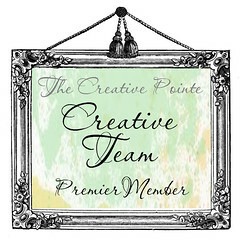 I never used it much, maybe once or twice. 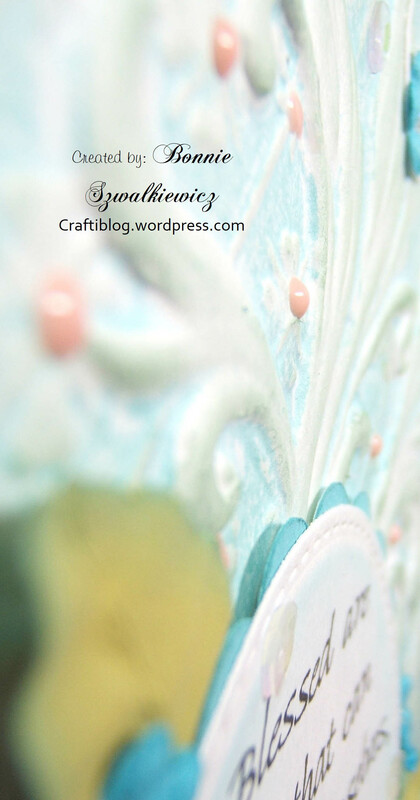 I added scraps that I had on my desk to pretty up the embossed piece. 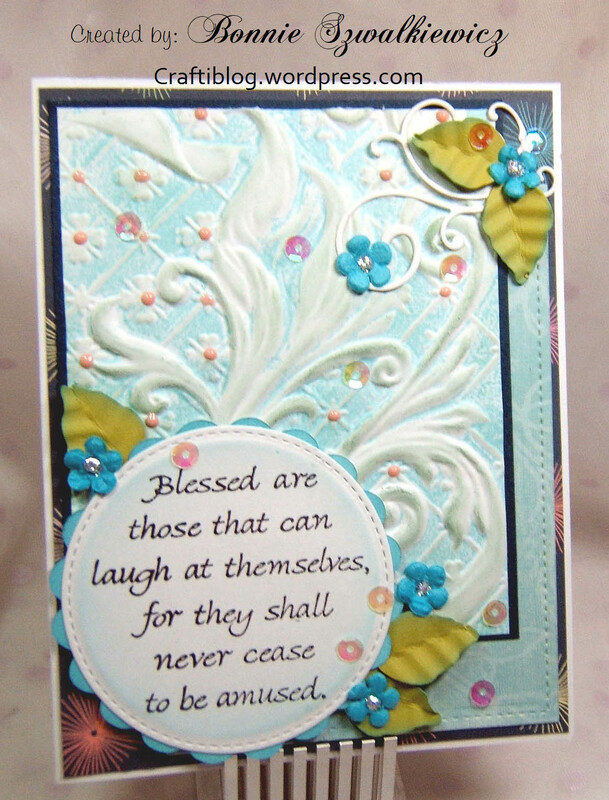 I also added Nuvo Drops to the embossed flowers. Here is a look at the deep texture. I was able to achieve the look by spritzing the card stock with water before embossing so that the paper didn’t crack or “break” by the deep texture. I also inked the folder with distress ink, then embossed.